I actually got the idea for today’s photo from Kevin Drum, my blogging hero. Instead of fighting the high contrast, go for the silhouette. 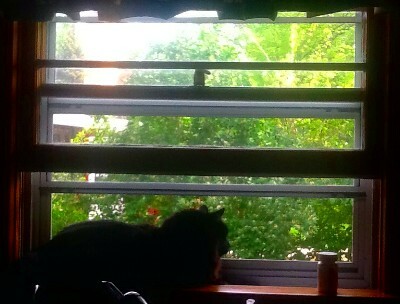 Bruno was willing to oblige while he got some fresh air and a chance to ogle the bird feeders.